Hello! My name is Rev. Elaine C. Torrance-Gingrich and I am known as the Goddess of Laughter and Possibilities! I am a Divine Feminine Mentor and can help you go from a life of limits, stress and overwhelm to dancing The DANCE of the Divine Feminine TM! The DANCE of the Divine Feminine™ was created to help you discover just how Powerful, Awesome, and Unique you truly are. Unleash the POWER of YOU. 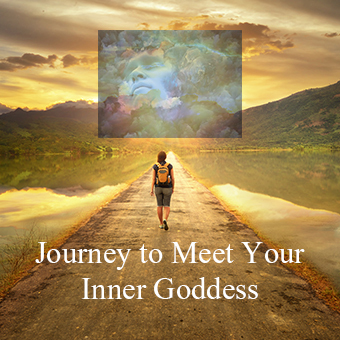 Together, we dive deep into your core Divine Feminine Energies, your Sensitive strengths and your uniqueness. When you are out of touch with YOU, you feel confused, scattered and unsure of yourself. Through the work, you come to understand that you are an expression of Divinity. The Divine expresses through you as YOU! This is the foundational piece to igniting the fire within, using your voice and speaking your truth, and learning The DANCE of the Divine Feminine TM! Everyone has a shadow. It's the parts of yourself that you don't appreciate. It's your Dark Side. However; repressing your Shadow leaves you feeling fragmented. You are not embracing the whole of YOU! Together we explore the Shadow and the gifts within both the Light and the Dark aspects of Shadow to reclaim your Wholeness. Release negative emotion and make YOU your NUMBER ONE PRIORITY! When you don’t allow yourself to feel your feelings, the energy gets trapped in your body and can manifest as dis-ease. When you are sick or depleted, you have nothing to give to others. Together we create structure which allows you to express and experience your emotions, manage your time, implement strong boundaries and establish a self-care and spiritual practice that creates balance, manages your energy and overwhelm, stokes the fire within, and nurtures your soul so you fall unapologetically in love with yourself. Everything you have been through, all you have lived has made you who you are in this NOW moment. Together we look at where you are feeling trapped in past or present circumstances and uncover the gifts that the circumstances hold. This is where we also look at the vision you hold and make course corrections as needed based upon the gifts in each experience. This neutralizes the negative charge, shifts your focus to all you have to appreciate which allows the good you desire to flow into your experience, as well as providing a feeling of peace. In each and every moment, YOU have the power to CHOOSE. Contrast is always going to be present in life. When you feel discouraged, YOU get to CHOOSE whether you see through the eyes of Fear or Love. Fear constricts and Love expands. Choosing to see through the eyes of Love is a choice to live in Expansion! This is NOT a "Pollyanna" approach but rather the conscious CHOICE to see and walk in LOVE. I invite you to learn more about how we can work together. I offer a FREE Laughter & Possibilities Session where, together, we explore if mentoring is right for you. In this session I get to hear about what is going on for you. We will explore what is standing in your way. I will share with you how I work and together we will determine if what I offer will be of service to you. There is NO OBLIGATION to work with me.